Unprecedented quantities of weapons and ammunition worth in nearly $1.5 billion have been procured from Eastern Europe and sent to Syria to arm nearly every side in the ongoing civil war, a study has found. The weapons are transported through the Balkans and sold legally to countries bordering Syria, including Jordan, Saudi Arabia and Turkey. Once there, they are secretly transported to Syria for use in the bloody five-year civil war, which has so far killed or displaced millions. The revelation resulted from a year-long investigative project by the Serbia-based Balkan Investigative Reporting Network (BIRN) in the Organised Crime and Corruption Reporting Project (OCCRP) in Bosnia. The probe found that the weapons transferred to the Middle East include heavy machine guns, rocket and mortar launchers and shells, anti-tank weapons, as well as thousands of assault rifles and rounds of ammunition. Many originate from Ukraine, Belarus and the former Yugoslavia and are procured by companies in eight Eastern European countries including Bulgaria, Slovakia, Romania, the Czech Republic, Montenegro, and Bosnia. The governments of these countries give the companies permission to sell weapons to Middle Eastern countries, even though it is informally understood that they will eventually end up in Syria, in contravention of international agreements. Investigators say the smuggled weapons have been traced to various factions fighting in Syria, primarily the Free Syrian Army, which is fighting against the government of Syrian President Bashar al-Assad. But many have ended up in the hands of Islamist militias, including the Islamic State, Ansar al-Islam, and the group formerly known as Jabhat al-Nusra. Some of the weapons have also surfaced in Yemen, in the hands of Sunni fighters there. According to the probe’s findings, Middle Eastern countries like Turkey, Jordan or Saudi Arabia, whose militaries use Western-made weaponry, were never large purchasers of Eastern European weapons. But that quickly changed in 2012, as the Syrian Civil War picked up pace. According to British newspaper The Guardian, which published some of the findings of the BIRN-OCCRP report, the United States has used this weapons-smuggling channel as a way to arm Syrian opposition forces. The study found that, since December of last year, the US military’s Joint Special Operations Command has commissioned at least three cargo ships that left ports in the Black Sea for the Middle East carrying weapons for Syria. 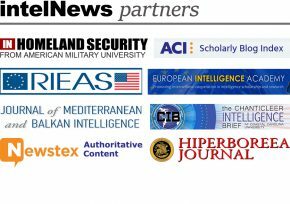 Regular intelNews readers will remember a report from November 2013, according to which the Greek authorities seized a ship that had left Ukraine heading for Syria or Libya, carrying 20,000 AK-47s, as well as explosives and ammunition. Two years later, in November 2015, we reported on allegations that Ukraine may be secretly arming the Islamic State in an effort to impair its regional foe, Russia. Editor – the article infers that the U.S has backed and financed some of the weapons mentioned. As you know – no amount of EUC documents are going to guarantee such lethal weapons are not going to fall into the wrong hands. As such it’s rather ironic that the Russian Intelligence operative Victor Bount has been jailed for 25 years in the United States for carrying out identical weapons sales to foreign countries and foreign governments – Syria included !! was why he fell from favour. I don’t support what Bount did – I just think that someone “keeps changing the goalposts” after the match has started in order to suit the other players. I wonder how many Russian made weapons have fallen into the hands of ISIS?